Visitors are drawn to the area year after year by a myriad of mesmerizing events and festivals. The Downtown Gainesville Art Festival is no exception. Immerse yourself in this cultural experience surrounded by creative thinkers, renowned artists, and art aficionados. Admire impressive works of art, enjoy the sound of music, and get lost in the crowd. Adults and children alike enjoy this festival and all of the exciting activities and displays that it has to offer. If you find yourself around Gainesville, Fl, this time of year, be sure to stop in. The historic downtown area sets the scene for this admirable cultural affair. 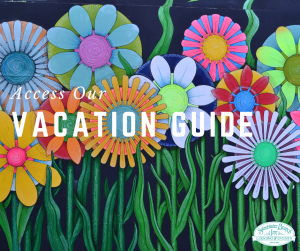 For more great suggestions regarding the best events, restaurants, and things to do, take a look at our vacation guide! The Downtown Gainesville Art Festival, also known as the Gainesville Downtown Festival & Art Show, brings over a 100,000 people to beautiful Gainesville each year. The historic downtown area is transformed into an incredible festival filled with art, entertainment, and music. Everywhere from City Hall to the Hippodrome State Theater is transformed into festival grounds. This weekend-long event begins on a Friday where visitors can enjoy a free blues concert before the art activities begin on Saturday. Once Saturday rolls around, thousands of art lovers flood the streets looking for one-of-a-kind artwork between listening to the live music and tasting the variety of food found throughout the festival. This exciting affair is easily one of the best festivals to attend in Gainesville. The Gainesville Art Festival is a great time whether you go with your significant other, entire family, or group of friends! You can spend hours browsing through the booths of the national artists that were lucky enough to get a spot in the art show. Find incredible paintings done in every medium imaginable, sculptures, handmade jewelry, ceramics, and incredible photography. It’s also the perfect place to find a souvenir for your trip, a gift for a loved one, or a stunning work of art to proudly display in your own home. Spend the time between browsing listening to the live music and entertainment. If you’re bringing kids along, there’s plenty for them to do as well! The festival isn’t just about artists; it’s about kids’ creativity as well. Take future artists to the Young Artist Courtyard. There, kids admire works created by children and teens their age! After, visit the Imagination Station! Kids can create their own art to take home. They can also help brighten the festival up by filling the streets with sidewalk chalk art! There’s also painting, mask-making, puppet designing, and clay sculpting available for children to try. Plus, they’re sure to love the live music and dance performances! Spend your day perusing works of art at the Downtown Gainesville Art Festival then dine at one of the best restaurants our city has to offer. After, stay with us at Sweetwater Branch Inn for some much-need rest and relaxation. Our property is an oasis, tucked away from the hustle and bustle of the big city. The grounds emit a magical aura, and our accommodations range from suites in the Mckenzie House and the Cushman House to cozy private cottages. For those who appreciate creative spaces, stay in our Piccadilly Suite. The Victorian sunroom floods with natural light and it also sparks inspiration and creativity. Book your stay with us today!